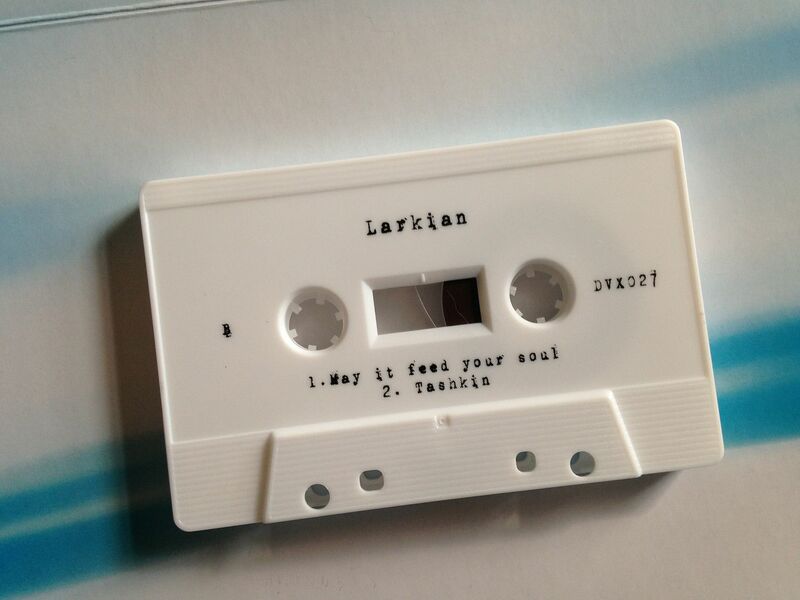 As a fan of the deadvox label I am no stranger to Larkian. 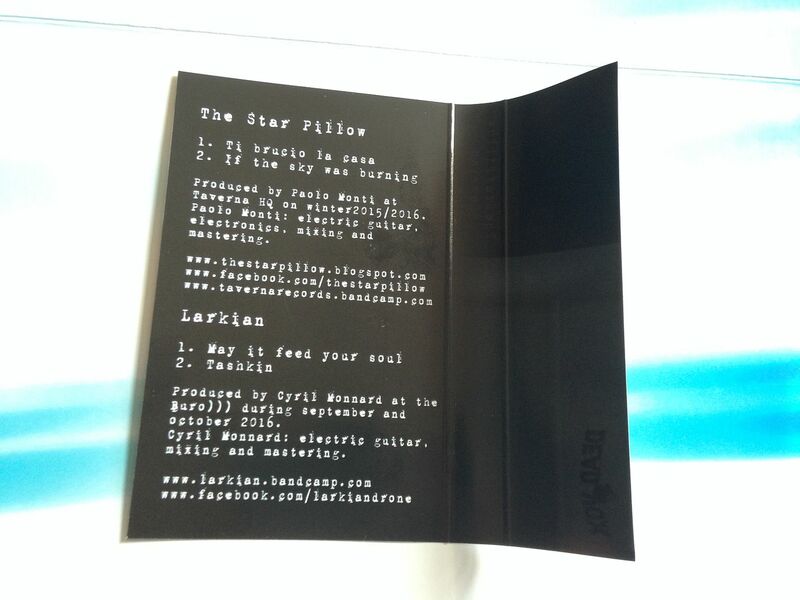 I haven't heard of The Star Pillow before though, so it is nice to see a split between the two. 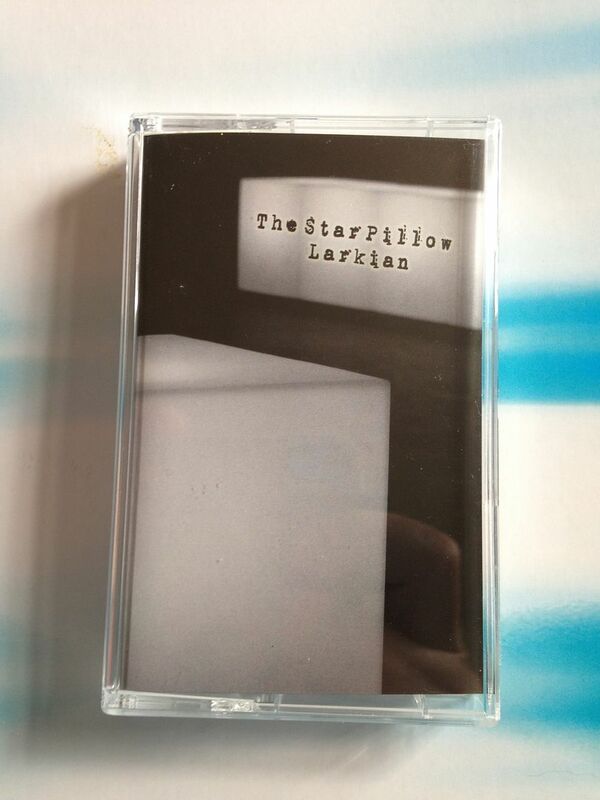 Larkian doing a split with an artist I already know would be cool in a lot of ways, but I have to respect that this is basically Larkian sharing the stage with someone new to me and it's like... Well, if Larkian is willing to make a split cassette then they must be worth listening to for me. 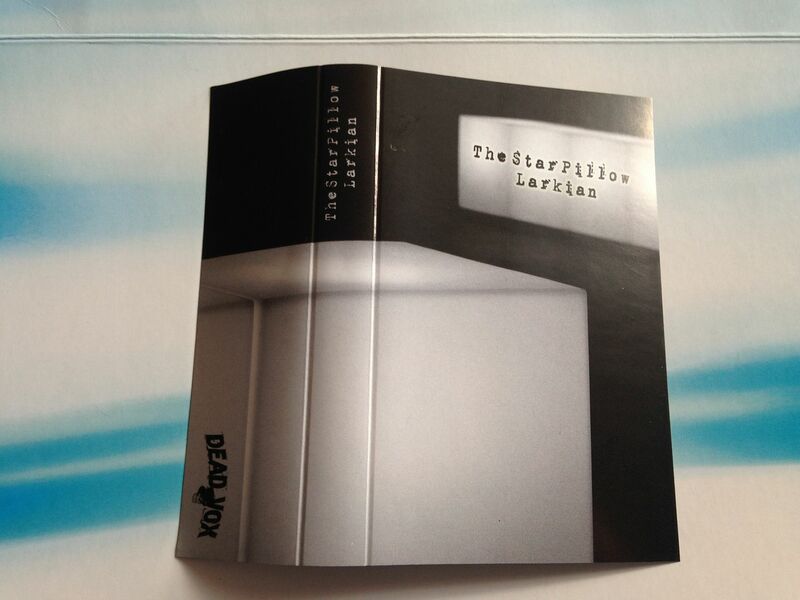 Rattling guitar riffs and background bass begin The Star Pillow side. 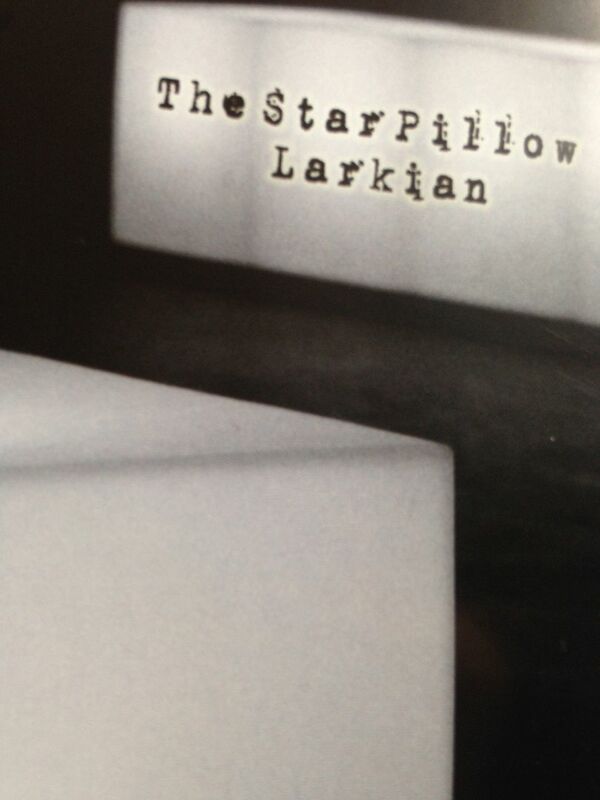 (I assume the name refers to a star shaped pillow?) The rattles somehow become sonic. Spatial whirrs and whooshes bring upon sounds like video game ups (which I commonly think of as being when you make Mario jump, for example, but that holds true for a lot of video games) This piece begins to grow hollow. It goes deep and dark. There is an ambient drone to it and ultimately it finds itself in that boiler room type of setting which I obviously enjoy because I'm always down here. The loudness grows to where it almost begins to hurt my ears (good thing there are no dogs near by) but then it eventually drops back down before fading out with the notes which started the track. I always find myself impressed by Larkian-- how the simplest of sounds can become so complex in their delivery. 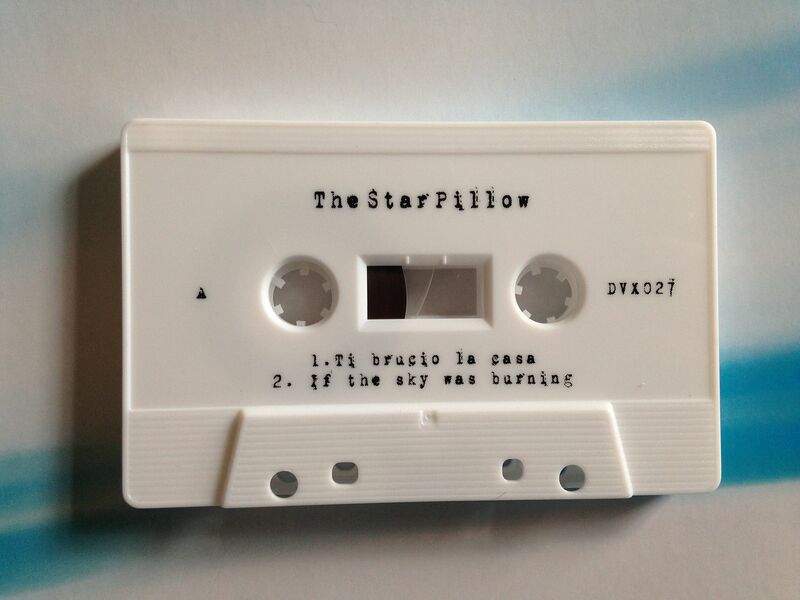 But now I've also heard The Star Pillow for the first time and will be sure to look out for further music under that name as well. 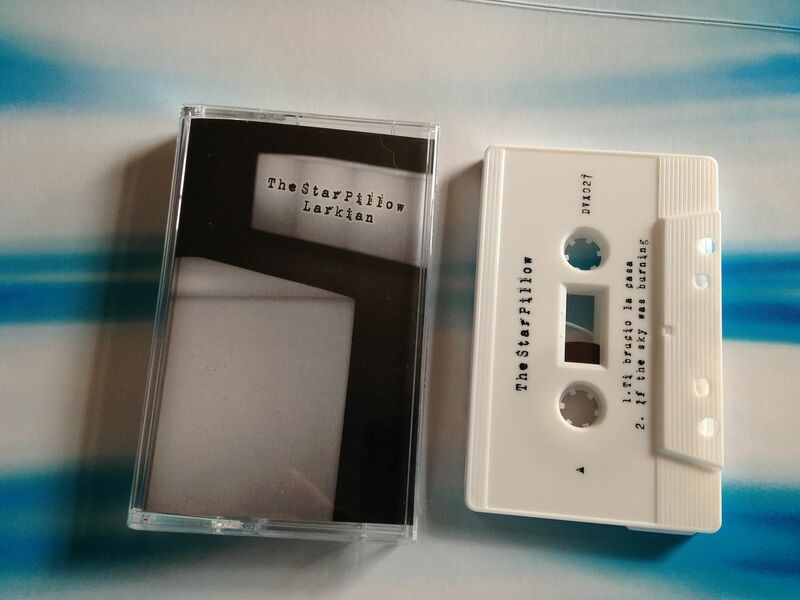 There is really no good reason not to listen to this split cassette.